Four competitors duly entered and the first prize of 10 shillings and sixpence was won by Joseph Taylor, age 72, with his song Creeping Jane; second prize (5 shillings) was won by 85-year old Mr W. Hilton of Keelby with Come All You Merry Ploughboys, while third prize (two shillings and sixpence) was carried off by Dean Robinson of Scawby with T'owd Yowe Wi' One Horn. 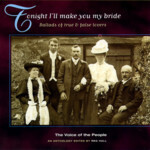 Grainger visited Brigg again in August 1905 to collect more songs, and in the meantime set several of them (including Brigg Fair) to his own arrangements for solo voices, choirs and bands. 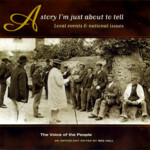 He returned again to Brigg for the 1906 music festival, this time armed with a phonograph with which to capture the nuances of the Lincolnshire folk singers in every detail, and thereby became a pioneer in the use of the phonograph to record folk singers in England—in his context, as an aid to accurate transcription of the songs, but more importantly for later listeners, as an irreplaceable historical document recording English folksingers in actual performances from the dawn of the 20th century at a time when many of them were already very old men. 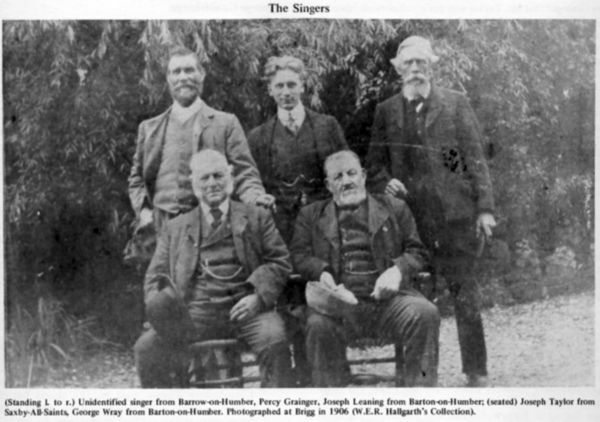 Percy Grainger (standing, center) and traditional folksingers photographed at Brigg in 1906. Joseph Taylor is seated at front left. 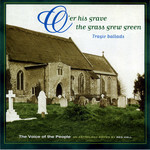 In 1907 Grainger met the composer Delius for the first time, who was enthusiastic about Grainger's folk song settings and so impressed with the tune of Brigg Fair that he requested Grainger's permission to adapt it himself for orchestra - using Grainger's own harmonies as the basis for his well-known and much loved Brigg Fair - English Rhapsody. At its first London performance in 1908 at London's Queen's Hall, Joseph Taylor was an invited guest and the story goes that he stood up proudly to sing along with “his” tune as soon as the first strain was played by the orchestra. 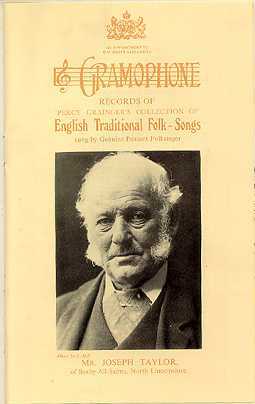 1908 was special for another reason, in that Grainger persuaded the Gramophone Company of London to record for the first time a “genuine peasant folk-singer” singing twelve folk songs, of which nine were issued on seven 78 rpm records (at 3/6 or 5/6 each). 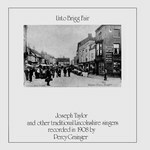 All but two of the songs recorded, the earliest commercial recordings of English folk song, appear again on the 1972 Leader album Unto Brigg Fair: Joseph Taylor and Other Traditional Lincolnshire Singers , along with transcriptions of twelve of Grainger's original wax cylinder recordings from 1908 of the singers Mr Thomson, Joseph Leaning, George Gouldthorpe, Joseph Taylor (again), George Wray, and Dean Robinson. As well as producing a number of British folk-song settings over the succeeding years, in 1940 Percy Grainger published what many consider to be his finest work, A Lincolnshire Posy, arranged both for wind band and for two pianos (four hands). 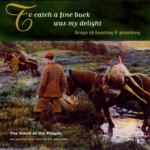 This suite comprises settings of five songs from his collecting expeditions in Lincolnshire in 1905-1908, being Lisbon collected from Mr Deane in the Brigg workhouse (mistitled in some versions as Dublin Bay), Horkstow Grange from George Gouldthorpe, Rufford Park Poachers from Joseph Taylor, The Brisk Young Sailor (a.k.a. A Fair Maid Walking) from Mrs. Thompson at Barrow-on-Humber, Lord Melbourne (=Lord Marlborough) from George Wray, and The Lost Lady Found, for which the tune was collected by Lucy Broadwood from her old nurse, Mrs. Hill of Stamford. Much later, the songs and singing style of Joseph Taylor and others inspired a whole new generation of folk-revival performers, from the 1960s onwards. Martin Carthy, in particular, appears to have had a fondness for Joseph Taylor's style and repertoire of songs, and has recorded fine versions of Creeping Jane, The White Hare, and other songs from the singing of Joseph Taylor. 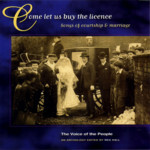 The Home Service have recorded stirring versions of both Grainger's Lincolnshire Posy and his Duke of Marlborough Fanfare on their 1986 album Alright Jack . And of course, the name of a character from George Gouldthorpe's song Horkstow Grange was adopted by one Ashley Hutchings for the name of the new, “traditional” electric folk group Steeleye Span formed shortly after leaving Fairport Convention in 1969. John Bird, Percy Grainger , Sun Papermac, 1982. Bob Thomson, sleeve notes to the Unto Brigg Fair album (see below). Passion , 1999, a film directed by Peter Duncan based on events in Percy Grainger's life, includes a version of Percy Grainger's meeting with Joseph Taylor (although it occurs in 1912 in a pub nowhere near Lincolnshire). John Roberts and Tony Barrand: sleeve notes and lyrics to the Heartoutbursts album (see below). Includes a more detailed description of Percy Grainger's folksong collecting in Lincolnshire, together with (in some cases extended) lyrics and background to 18 songs, including 8 from Joseph Taylor. 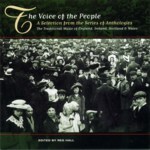 Review of Topic's “Voice of the People” series - includes discussion of various English folksingers including Percy Grainger. Brief biography of Percy Grainger from the Australian Dictionary of Biography. List of Percy Grainger's compositions and folk song arrangements, compiled by Barry Peter Ould, Music Archivist of the Grainger Society. 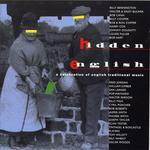 Includes modern performances of 18 songs collected in Lincolnshire by Percy Grainger, including 8 from Joseph Taylor. Includes Delius's Brigg Fair - An English Rhapsody, rearranged by Percy Grainger for four hands, and recorded by him as a piano-roll (with Ralph Leopold) in the USA, 1933. Thanks to Tony Rees, who wrote almost all of the page. Thanks to Irene Shettle for corrections concerning Lucy Broadwood. These and other changes are included in Tony Rees' text in brackets and marked with my initials.